Encompassing over 600 acres of grasslands and oak woodlands, Fairfield's Rockville Hills Regional Park has won over the hearts of countless families, hikers, mountain bikers, photographers, and bird watchers over the years. There are more than 30 miles of tracks, trails, and picnic areas in this beautiful park. Over two dozen trails are labeled on a map, ranging from 'easy' to 'advanced', ensuring that anyone from families with small children to experienced mountain bikers and rock climbers can have a memorable day at Rockville Hills. Samuel on Rockville Hills and the Green Valley Trail: One of my favorite local spots... What I love about this hike is the varying terrain and views, You'll start out deep in the forested areas, eventually getting views of the cliffs and more rural areas of Fairfield. Evntually stumbling across a small pond and then a nice lake filled with an abundance of wildlife. It's not uncommon to see Herons, Ducks, Chipmunks, Fence Lizards, Turtles, and Bullfrogs in and around the pond. April on Lake Trails Loop: Wow! This is my new favorite spot to run. It has everything I need: amazing views, alternate routes, hills and spots for scrambling, hidden gems...I could run here again and again and take a different system of trails each time. Shelby: My buddies and I are always looking for new places to mountain bike and decided to give Rockville a try as I had recently moved into the area. What a gem! Probably one of the most fun places I have ridden! I have now gone quite a few times and am becoming familiar with the trails. One of the things I really like about it is that the "lake" at the top of the hill acts as a central location that a lot of the trails meet up at. This allows you to go off on numerous shorter loops or stretch them out into longer loops. Jube: Lots of hidden surprises as you go! Friendly people, clean park, and sheep were extra added bonus! Easy trails all around!! Brandon: This park is really nice to walk and trek through in the early mornings. There is limited parking, so it's best to get here as early as possible to ensure that getting a parking spot isn't an issue in allowing you to enjoy the surrounding environment. There are several trails to be taken here all varying in difficulty and how comfortable of a trail you want to walk. I chose to take the easiest trail, opting to enjoy what nature has to offer me at this park. There are lots of trees and wildlife running around. Plenty of squirrels and birds! There is also a park pond and a large and beautiful lake with its own deck! I've heard that there is a cave further into the trails of this park for the trail-goers who are yearning for a challenge. Lamont: This place is absolutely amazing! I love all the hills and rocks! It's like something out of an old western movie! Andy: I now call this place The Rock, and if you ride here, you will know why. Rocky technical terrain is abundant in this little park. Perfect place to build your skills if you like this type of terrain. Aubrey: Rockville Hills Regional Park is one of Fairfield's hidden gem. Whether you're a local or a visitor from out of town, there's plenty of trails with different skill levels ranging from an easy hike to a moderate one. Whether you want to hike on trail that has very little incline or run up to the top of the hills, this park will do for beginning mountain bikers and moderate trail running to build up stamina. The views while hiking up to the hills of the main trail were a lot more prettier than I anticipated. I was able to get a lovely panoramic view of Fairfield's agricultural landscaping and industrial areas while hiking up the main trails. Also, there's a cave and lake around the top of the main trail plus plenty more trails to enjoy the trees and birds. One thing I recommend for anyone checking out these trails is to dress in layers and wear decent shoes like trail running shoes or hiking boots. There were some narrow areas and rocky dirt paths that could make one vulnerable to falling down and hurting themselves. Nikki: Best hiking spot near my house. I always go with my boyfriend and our 3 pups! There are multiple trails but with many easy to follow signs. My favs are the cave trail and the cascade trail, both usually pass through the rock garden and lake trails for beautiful views. Makes you appreciate that we live in the lush California scenery. Parker: I've been visiting this park since before I can remember! It's a great park and I love that it exist in this area, so close to home! There are plenty of (dog friendly) hiking / mountain biking trails! I come here quite often and don't seem to get bored of it, there's always a different trail to take, that will lead somewhere new! 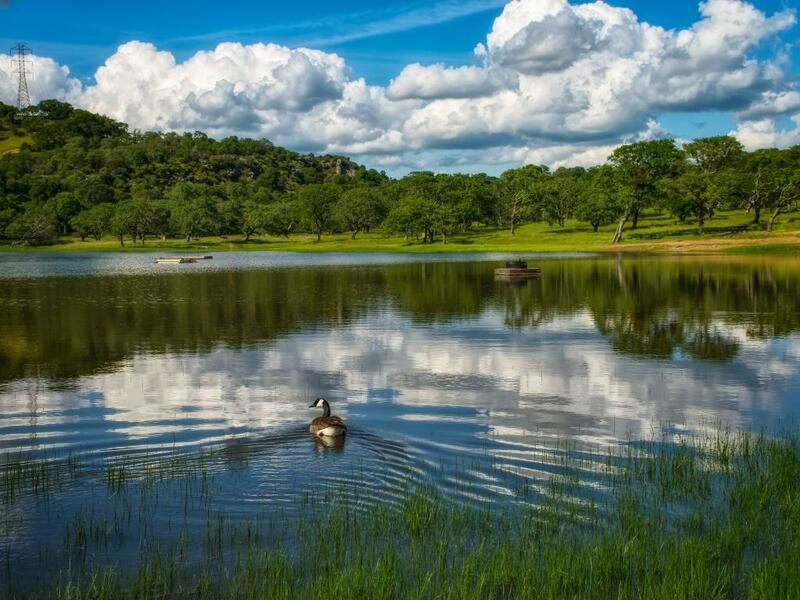 Rockville Hills Regional Park is open year-round, sunrise to sunset. The main entrance is on Abernathy Road, approximately a mile from the Abernathy/Suisun Valley Road intersection. Passes into the park can be purchased at the entrance for $3 per person. Season passes are also available. You must have a valid pass and your personal identification with you at all times. Rockville Hills is a dog friendly park. Admission is $1 per dog. They must be leashed at all times and remain on trail. Click here to learn more about Rockville Hills Regional Park!